Fiona Vella has a glass or two at the San Niklaw Estate in Żejtun. The cellar at San Niklaw estate. The vines at San Niklaw Estate. 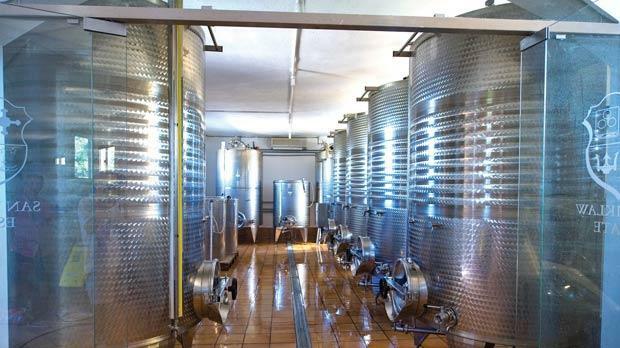 The winery at San Niklaw Estate. In these last years we have seen an increasing yearning for a return to our roots. Possibly, we are realising that the frenetic modern life is alienating us from the real meaning of what it means to be alive and from the significant feeling of belonging. Retracing ancestral footsteps often leads us to a closer connection with nature in order to breathe in the fragrance of the soil and the aromatic scents of plants, trees, fruits and flowers. 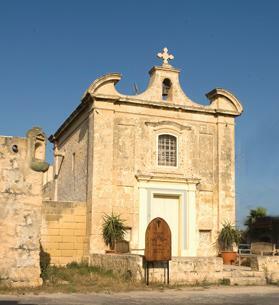 When they were young, brothers John, Thomas and Jeremy Cauchi would always look forward to a visit to San Niklaw, their parents’ country residence and adjoining chapel dedicated to St Nicholas, with its surrounding land on the outskirts of Żejtun. The brothers still remember the days when their grandmother used to bring them to San Niklaw to prepare the chapel for the pastoral visits by Archbishop Mikiel Gonzi. The boys were particularly attracted to the chapel’s bell and as soon as they were let in, they would rush to ring it at whatever time they could. Their grandmother would warn them not to do this as it would give the neighbouring farming community a false alert that Mass was about to begin. On the other hand, the children were free to roam in the fields and to enjoy the wonder of exploring different areas in the stretch of land which has belonged to their family for centuries. They rambled around in search of anything of interest in this private space full of curiosities, one of which is an authentic qiegħa, a circular structure which in the old days was used by farmers as a threshing floor. A donkey or an ox would pull a millstone, separating the wheat grain from the chaff. Indeed, the last generation could do very little with the land since their careers had led them in different directions. However, once their father retired from work and had more time on his hands, the family started to discuss the possibility of enhancing the value of their estate and the surrounding environment by stimulating the dormant land to produce crops once again. Since none of them were farmers, they had to come out with a project which they could enjoy doing and which eventually they could get good at. Ultimately, their passion for good wines and food culminated in the idea of cultivating their own vines. They started everything from scratch, kicking off this endeavour by attending various viticulture lectures. Meanwhile, they cleared the land from the wild vegetation and prepared it for cultivation. They restored the weakened rubble walls and measured the land in order to plan the layout of the vines. Samples of soil were analysed to distinguish which type of root stock was ideal for their land. Once the brothers had this information in hand, they visited a foreign nursery and selected some of the best vine clones which promised to do well within San Niklaw Estate’s terroir. This selection consisted of four types of root stock, each with their particular qualities. 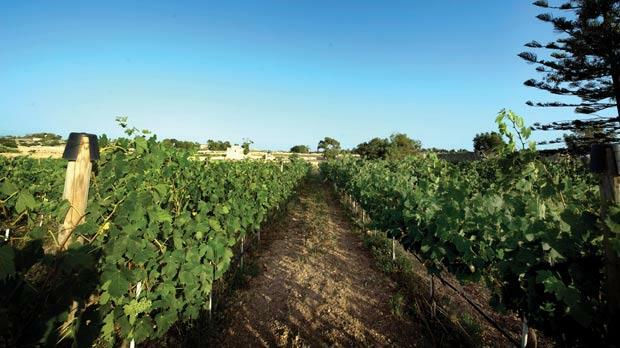 Vermentino vines have hardy leaves and are resilient to the south-east wind and to the salty sea breeze which spreads to this zone from the nearby sea in Marsaxlokk. They produce a light-skinned wine grape which has a distinct luscious aroma of apples. Sangiovese vines are adaptable to various types of vineyard soils. They produce red grapes which have the potential to turn into elegant wines with forceful flavours of strawberry and spice. The produce from Syrah vines is influenced by the climate in which they are grown and this affects the style and flavour profile of their wines. Indeed, these wines are renowned for their powerful and full-bodied characteristics which are derived from their dark-skinned grapes that give out strong aromas of blackberry, mint and black pepper. Mourvèdre vines are more capricious. They need very warm weather, a low leaf-to-fruit ratio and much more care, since they are susceptible to many viticulture hazards. However, their red grapes produce very interesting wines of a ruby colour and with unusual truffle and earthy notes. As the first leaves sprouted on the sowed vines, it seemed that the soil at San Niklaw Estate had accepted to support this new enterprise. This was confirmed some months later when the initial small yield of grapes succeeded to produce a very satisfactory wine. Year after year, the Cauchi brothers developed their experience further and today their skill at making wine has flourished considerably. They have opted to use the philosophy of seeking out the best growing conditions for their vines and then let the wines make themselves. As harvest time gets closer, a random sample of grapes is collected from the vines and the juice which is obtained will indicate the acidity and the sweetness of the produce for that year. When the grapes are finally ready for harvest, they are all picked on the same day. The white grapes’ stems are removed with a machine and then the grapes are squeezed. Only the white grape juice will go into the barrels. Contrastingly, red grapes are placed into the barrels with skin and all, after the stems have been eliminated. This is because with red grapes, it’s the skin that has all the colour and flavour. 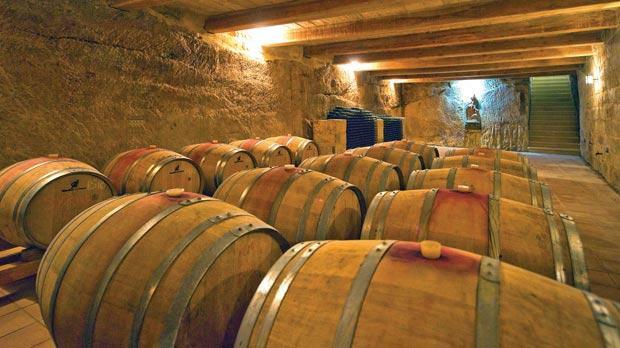 Barrels made of French oak are used for San Niklaw Estate’s wine fermentation, and these are laid to rest within an old rocky cellar. Three red and one white wine are produced by the Cauchi brothers and each has its own particular characteristics. 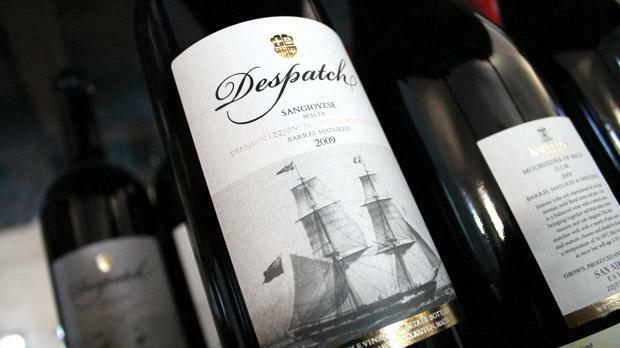 However it is the wine named Despatch which has the most fascinating story behind it. Indeed, the labels displayed on its bottles portray a ship bearing this name which in the 19th century belonged to the family and was used to transport cotton harvested from these fields in order to be traded in Marseilles and Barcelona. After this pleasant success, the Cauchi family has decided to extend this project into an activity of eno-tourism where visitors are welcomed to taste their products and to nibble at some freshly prepared traditional food. Interestingly, John, Thomas and Jeremy have also ventured to strengthen some other traditions, including the organisation of the feast of St Nicholas on December 6. On this day, family members, friends, neighbours and others who get to know about this event, gather in front of a brightly-lit and adorned chapel of St Nicholas and after Mass is celebrated, everyone gets an opportunity to taste San Niklaw Estate’s fine wines.